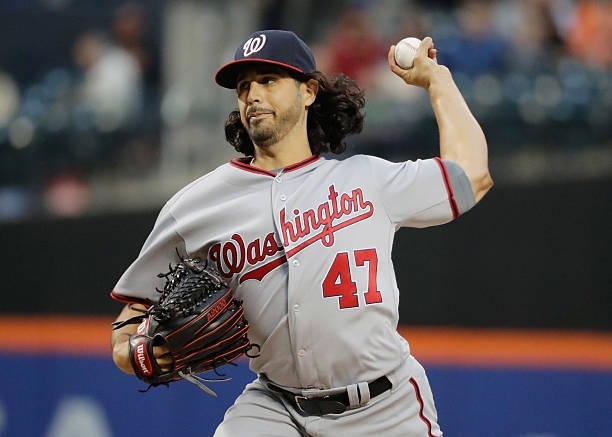 The Mets and BVW are maintaining contact with Gio Gonzalez’s agent Scott Boras as the Padres are now entering the mix for the veteran lefty. Rumors are that the Mets previously made an offer to Gonzalez. The San Diego Padres are giving the Mets a run for their money, as they try and put together a pitching staff for a Machado or Harper run. Executives in the Mets front office aren’t sure that he’s an upgrade over left handed pitcher and veteran Jason Vargas who is owed $8MM in the final year of his contract. I’m sure the Mets are keeping in mind the unlucky string of injuries the pitchers have been had the past few years. So acquiring Gio while still employing Vargas isn’t a far fetched idea and would be a strong depth move which would eat quality innings at the back end of the rotation. Last season, Gonzalez went 10-11 with a 4.21 ERA in 32 starts for both the Washington Nationals and the Milwaukee Brewers going 171 innings. I could see lefty Gio Gonzalez being the benefactor of pitching in a spacious park while having a firm understanding of how to pitch in the N.L. East. The Mets have a few more weeks to figure the rotation out. The Mets interest doesn’t exceed a one year deal. 1/3/2019 – Update: The Mets have offered a two year deal while the Braves are entering the mix. Previous Are the Mets grooming Wright to be the next Manager?